My friend Mike created an awesome Long Island Music Bundle, featuring 8 bands from the area + multiple albums. 20% of the proceeds will go to the Long Island chapter of Food Not Bombs. 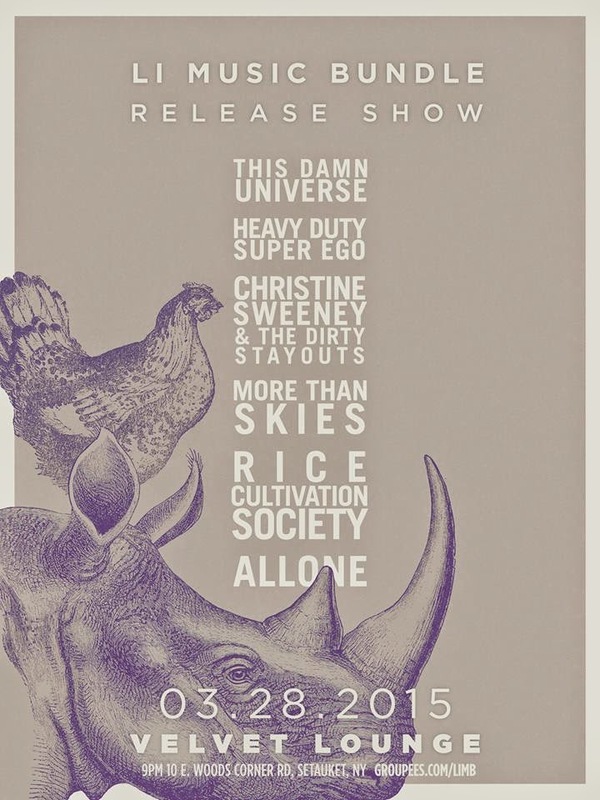 Six of the bands will be performing at the release show at Velvet Lounge in Setauket. Show starts at 9p + will go til around 2a. While we're dealing with snow [again], President Obama is hanging in my hometown + playing his 220th round of golf as POTUS. I hope he pulls a Frank Underwood + goes to my favorite rib joint. How come Ariel could sign the contract to give up her voice for some stems in The Little Mermaid, but couldn't write Prince Eric a note telling him what the deal was? Ugh, my inner child is not happy upon realizing this, Disney. If you have a thing for babes in uniform, Fleet Week is returning after last year's hiatus. Bear Grylls is getting a new Survivor-type series on NBC called the The Island. Welcome back, Mulder + Scully. Chris Carter is bringing The X-Files back after a ".. 13-year commercial break." I want to start cooking with wine more, so I did some research on what to keep stocked + realized that for budget + culinary purposes, box is best. Broken Lizard posted their Indiegogo campaign to raise funds to create Super Troopers 2. In less than 24 hours, they reached their goal + only 4 days in, they're just shy of $3 million. By the time the campaign is over, I wouldn't be surprised to see this go as high as $7 million. Netflix announced premiere dates for the upcoming seasons of Orange is the New Black + Wet Hot American Summer. My summer is going to be filled with lots of weddings, parties + Netflix binges. I'm super stoked. On the fence about what to major in at school? Well, here's some food for thought: the medical marijuana industry needs more chemists for research purposes.